Well, hello there! I figured I'd better post something new before a whole year went by. I haven't been paper crafting much at all since the arrival of my son last July. For updates on him, affectionately referred to as our little blueberry in blogland, check out my baby blog. This is the last of the thank you cards I made for baby gifts last year. 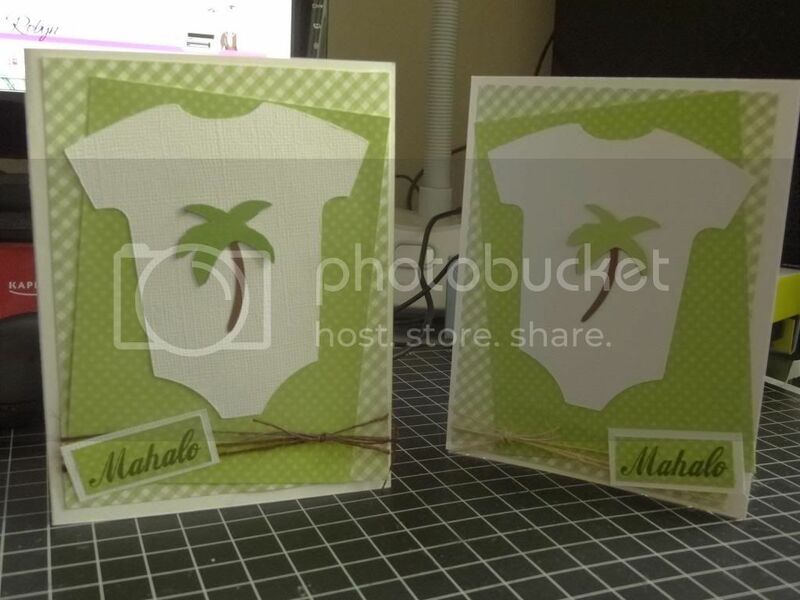 I honestly don't remember where I found the palm tree image, but I know there are palm trees on Pack Your Bags, Life is a Beach, Doodlecharms and more. 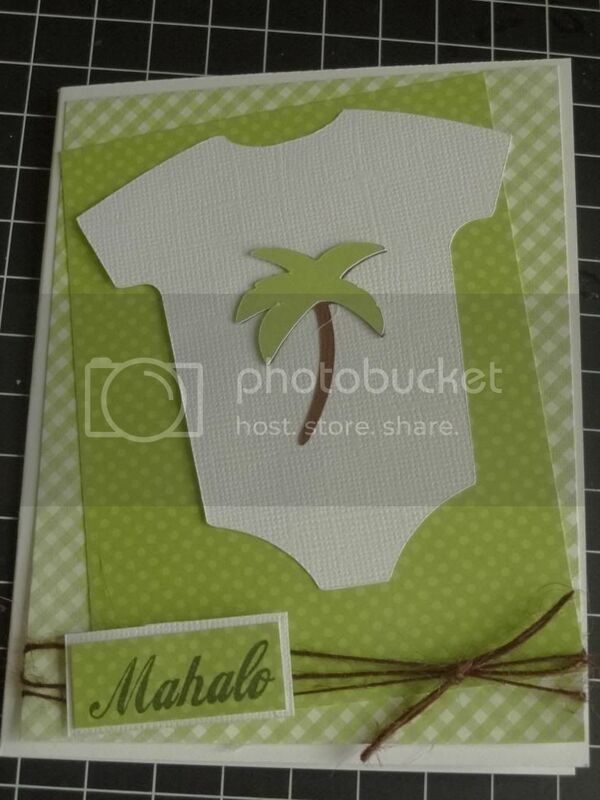 The onesie is the stock on from CCR and the sentiment is from a Scrappy Moms' set called Sun-Kissed. I'm planning on posting all of the cards I have pictures of as sadly there's not many. I've started crocheting again and tackled a few rudimentary sewing projects, so if I get really ambitious I'll work on getting posts of those projects posted soon. Here's hopping!